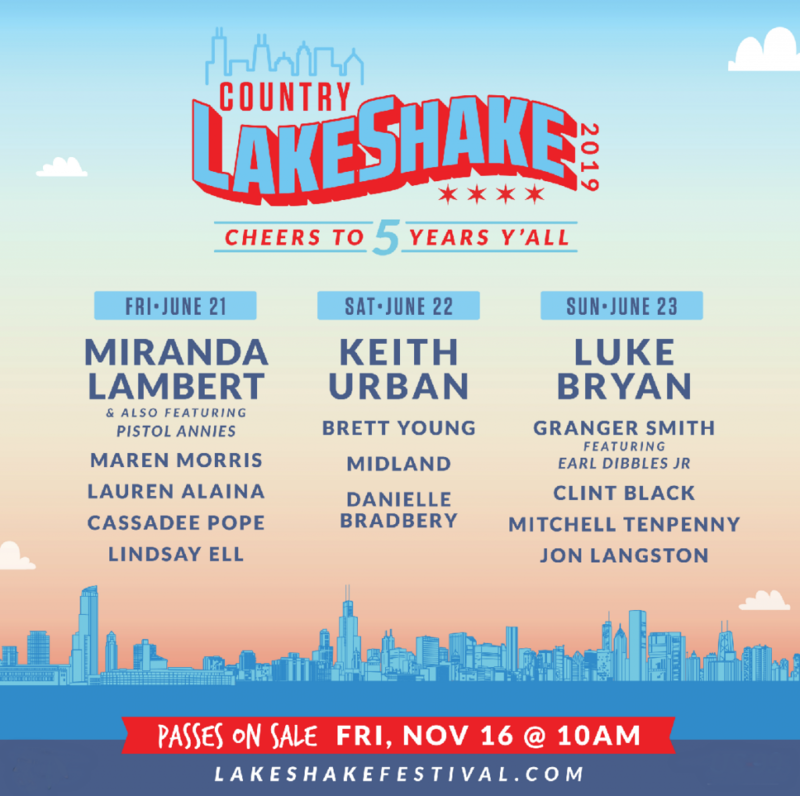 B104 Welcomes Miranda Lambert, Keith Urban, Luke Bryan, and many more to the Country LakeShake Festival, June 21-23 at Huntington Bank Pavilion at Northerly Island in downtown Chicago, to celebrate their 5th Anniversary! 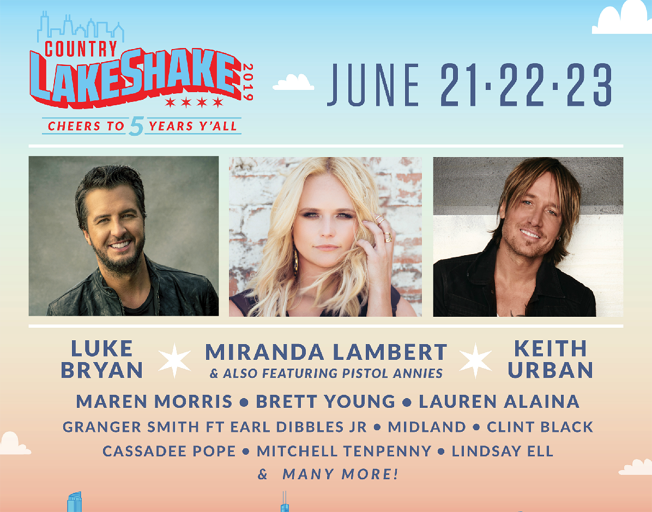 The Country LakeShake Festival is a three-day celebration of country music, food and fun. The festival will be held at Huntington Bank Pavillion at Northerly Island in Chicago Friday, June 21st, Saturday, June 22nd and Sunday, June 23rd.